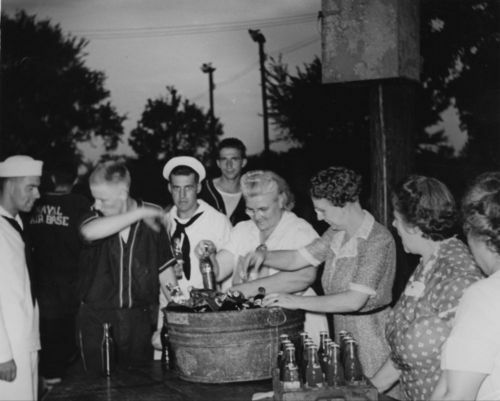 these women serving soft drinks at a baseball game in Kansas City, Kansas. The Naval Air Base was one of the teams playing baseball, and the photo shows baseball players and men in Navy uniforms. This activity was part of the Works Progress Administration.